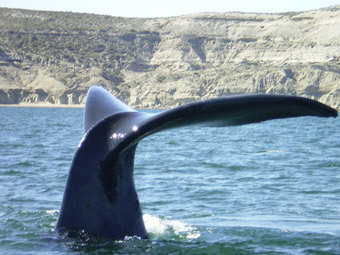 Check out our Travel Packages to Puerto Madryn! A spectactular maritime destination and famous for its natural beauty, the city of Puerto Madryn faces the Nuevo Golf in the northeast corner of the province of Chubut. 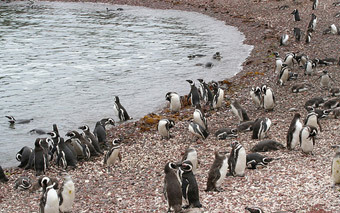 Waters and a variety of wildlife underwater make Puerto Madryn a scuba-diving and snorkeling capital. The landscapes and natural environment are ideal for this and other aquatic activities. It also boasts favorable conditions for windsurfing, because of the wind that shakes this corner of Patagonia. It is also an excellent destination for ecological tourism and exploring the natural environment. You can contemplate seals at Punta Delgada, admire the permanent colony of sea lions, and encounter various species of birds at the nearby Nature Reserve. Travelers can explore the amazing patagonian eco-system, hike along beautiful beach pathways, or go into the depths of the beautiful waters here. Why Travel to Puerto Madryn? Puerto Madryn is equipped with excellent services, high-quality accomodations, and incomparable landscapes. It’s a small, modern, and safe city with exquisite architecture that offers endless walks and activities. In addition to the wide variety of maritime activities and aquatic adventures available in Puerto Madryn the city itself is home to museums, historic sites, gastronomical delights, and nightlife. 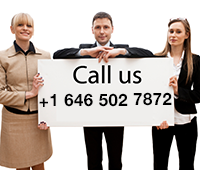 01 Argentina Travel Agency offers personalized tours to this and other cities in Patagonia. Whether you want to enjoy the landscape and waters from the comfort of this cozy city, or explore the deepest parts of the patagonian ocean, we’ll be able to plan the best trip and travel package possible for you and your needs.